This weekend I kicked off summer with my annual rose wine party. The tradition is simple: I invite a fun group of friends over and ask everyone to bring a bottle of rose wine, I prepare a delicious meal and outdoor setting. The results typically conclude with much debauchery, a major chance of hangovers and a slight risk of regrets (none of note in 2015). Undoubtedly, always memorable events. 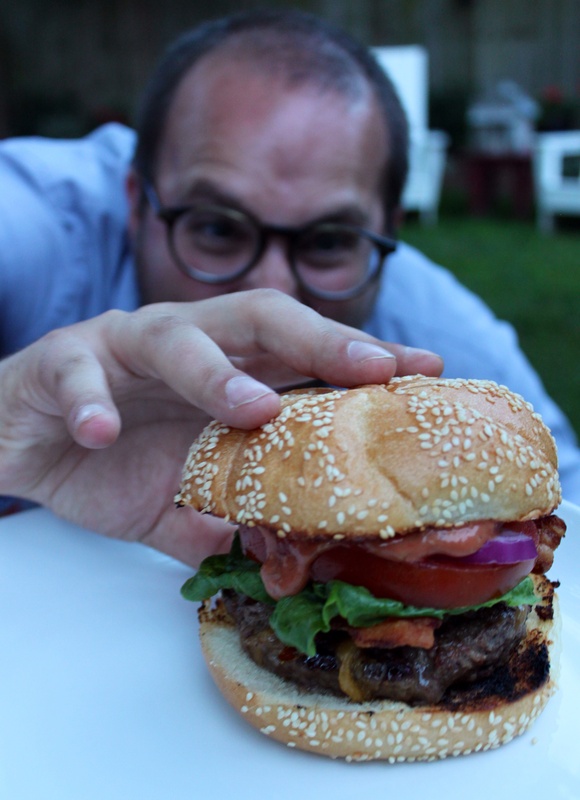 This year I prepared Bon Appetit’s June cover – Ralph Lauren’s Double Burger. As you can see in the photo, it’s pretty incredible. A heavy helping of homemade special sauce, a grilled slab of beef chuck and think cut bacon plus the summer’s best tomato. 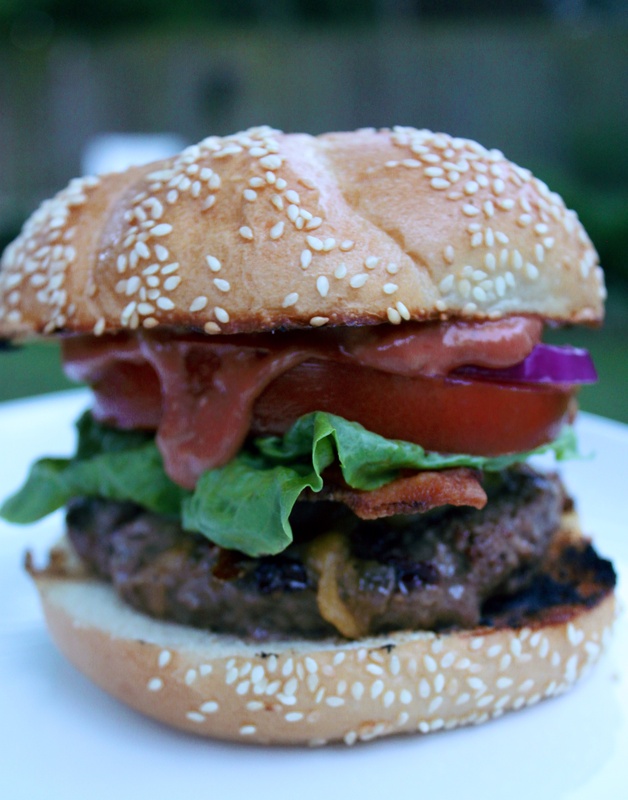 They were delicious and perfect for a picnic table dinner. And, soaked up plenty of rose. Save this one for a perfect summer party.